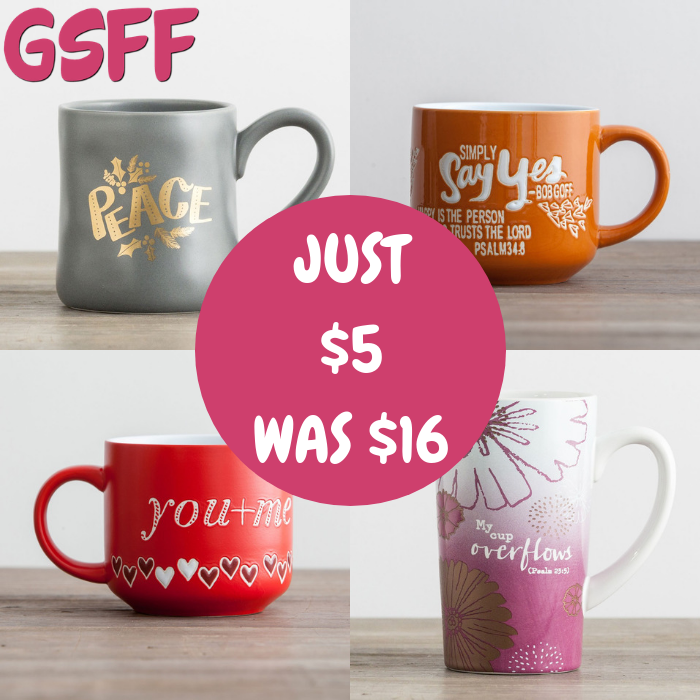 Printed Mugs Just $5! Down From $16! You are here: Home / Great Deals / Printed Mugs Just $5! Down From $16! This is a perfect gift idea! Hurry over to Day Spring to score these beautiful Printed Mugs for just $5 regularly up to $16! There are a lot of designs to choose from! Shipping is FREE for orders $50 and above!